Windows 10 is magical. Or something. At the beginning of this week I was worried that I was running out of disk space on my main hard disk. Which can be a problem. Things were turning red. Never a good thing in my experience. This morning I discovered that I suddenly had a lot more space. Around 30 G bytes had appeared from nowhere. Now, I might have done some “sleep deletion” last night, but I don’t think so. Windows 10 must have found the space for me. I installed the latest Windows 10 update over Wednesday night on two machines at the same time. I was quite amused to see my lowly Surface Go upgrade in around same time as my proper desktop. The Surface Go is really growing on me. The installation just worked. On Thursday morning I had the new system running. I’ve not noticed much different to be honest. The biggest change for me so far is that the Snipping Tool is being phased out. This has been a mainstay of my workflow for a very long time. One of the first things I used to do after installing Windows was put a shortcut to the Snipping Tool on the task bar. It was very good at capturing the entire contents of windows. It did have its foibles though. One of the most annoying was that when you drew with a white pen on a white background the pen disappeared. I’ve wondered for a long time why this has not been fixed. 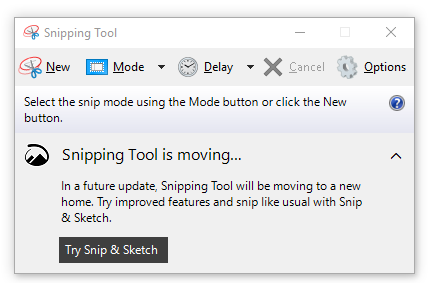 I’m talking about the Snipping Tool in the past tense because I’ve switched to the new replacement, the Snip & Sketch tool. It seems to do all the things that the Snipping Tool does. I even used it to capture the image at the top of this post. It also sets the cursor colour correctly when drawing, which is a step forwards. I’ve not noticed any huge changes in Windows 10 so far. But I’m looking forward to doing some more exploring. Why is Windows 10 so slow at sorting file folders? I actually managed to write and post this while Windows 10 was sorting my downloads folder into date order. And I'm not a very fast typist. Anyone else seen this? Anyone know why this is? I'm bringing some old machines back into commission in case I need some spare devices for our "Build a robot in a day" course on Friday. Of course I'm updating them to the latest version of Windows 10, Fall Update Creators edition. My experience has been that, unlike previous versions of Windows on low powered machines, successive versions of Windows 10 have better performance than the previous ones on resource constrained devices. Anyhoo, the update on my lovely Packard Bell Butterfly tablet went OK. But afterwards the WiFi didn't work. So, not OK then. Open the network adapters element and find your WiFi adaptor in the list. Right click on the entry in the list and select Properties from the menu that appears.. Select the Power Management tab. Make sure that the "Allow the Computer to turn off the device to save power" checkbox is clear. Close the properties dialog and reboot the machine. You should find that WiFi now works. Or at least, I did. Some things you just have to learn the hard way. For a while I've been frustrated by the way that my Arduino projects would build fine for a while, and then fail after I had saved them. Eventually I worked out that if you're working on a folder which is being shared by One Drive (or DropBox and probably Google Drive) this causes the Adruino SDK to get upset when it tries to build a solution. This must be due to the file sync process causing files to be locked when they shouldn't be. Move the files to your desktop and the program builds perfectly. I'm rather liking the Windows 10 Creator's Edition Fall Update Feature Release 1709 for x64 based Systems (KB4041994). It's full of little changes that just make everything that bit better. Like the way that the Onedrive sync status is now showed in a separate column, rather than on top of the file icon so that I couldn't tell what type of document I was looking at. On tip though, after the upgrade I was a bit worried that my system disk had suddenly got a lot smaller. I managed to free off 41 GBytes just by deleting previous Windows installations. FreeCad doesn't seem to support a format that Paint 3D understands. You'll need to use a converter program to do this. I've found a free program at NCH Software that seems to do the trick. First thing you need to do is download and install the program. Select the "Wavefront OBJ" file type as you can see above. Give the file a sensible name, and then click Save. Now you need to convert the OBJ file into a 3MF file. Open up Spin 3D. Select Add File (the big plus) and add your file. You can add lots of files if you like. I've found that models need to be rotated for some reason (perhaps because the coordinate frames of reference are different). Click the Effects button in the bottom left to ask the Spin program to do this for you. You want to rotate -90 degrees about the X axis. Click the "Apply Offsets to Objects" checkbox and then put -90 in the Rotation X box, as shown above. Then click OK to close the Effects dialog. Make sure that you've got the output format set to 3md as you can see above, and then click the Convert button on the bottom right hand side of the Spin 3D window. Your design will now be converted into a 3mf file that you can import into Paint 3D. I even managed to put the design into the Remix 3D site for people to download and play with. You can find it here. So yesterday I did a clean install of Windows 10 from a memory key. It was for my HP Sprout, which had got itself into a big of a pickle after I upgraded the hard drive. I booted from the memory key and up came the setup program. It had a slight whinge about all the partitions on the disk and so I thought I'd get rid of everything. If you press Shift+F10 at the disk management menu in the Windows 10 installer you get yourself a command prompt. Which you can use to load the Windows Disk Partition Tool, diskpart. So I did. The Windows disk partition tool is strong magic. Like, make your system not work any more and all your files vanish magic. It lets you specify the fundamental arrangement of the storage areas on your hard disk. The Sprout had all these recovery partitions and weird bits and pieces lying around which I really didn't want. (and of course I'd made a backup). So I used the "clean" command. I've not used it before, previously I've removed and merged partitions by hand. But clean makes it much easier. Scarily so. I was expecting some form of confirmation dialog when I issued the command but no, it just went ahead and cleared the drive. Windows 10 then had a shiny empty disk to go to town on, and it did. The Windows 10 installation process is now very slick. It's fast too. I had a working operating system around 10 minutes after cleaning the disk. And it rounds off the installation with a chat from Cortana to set the final options for your machine. Windows 10 is lovely. But there are some things that it does that drive me a bit nuts. Like, when I've downloaded a file, and then want to find it in my downloads folder. Not a particularly strange request you might think. But Windows 10 acts as if I've just asked for the cure for cancer and the ten millionth digit of pi. Along with next week's lottery numbers. My powerful machine with it's ultra-fast hard disk (at least that's what the salesman said) grinds to a halt while the operating system "works on" finding the files in a folder. So the Windows 10 upgrade on my Sony Ultrabook worked fine. Rather too well. Some time back I had to disable the touch screen on this device because the hardware has failed somewhere and detects two finger presses all the time. Which made controlling the machine rather tricky. Anyhoo, of course the Windows 10 upgrade turned the touch screen back on. Thanks for that. However, I've discovered that if I press down lots of points on the screen it kind of overloads and stops recognising things, so I can use the keyboard and mouse. But it did make some interesting gymnastics as I kept as many fingers as I could on the screen while opening Device Manager and disabling the touch screen driver. It works fine now. Kudos to Microsoft for a very smooth upgrade on both the ultrabook and my twisty tablet. The Windows 10 free upgrade stops being free on Friday 29th July. Which means that, what with my flair for forward planning, I've been digging out old machines and upgrading them this week because it would be daft not to. One of the machines that I found was my Packard Bell twisty tablet of a few years ago; Still works fine, but I'd forgotten the password to log in. The machine was keyed to my Microsoft account and I've changed my password several times since I last used it. And I can't for the life of me remember the old ones. Idiot me (although actually a knack for forgetting old passwords is a useful thing to acquire as it stops you using the old one by mistake). Anyhoo, I found a YouTube video that showed a nifty way to break back into a Windows 8 system. The video was a good start, but I had a few issues. 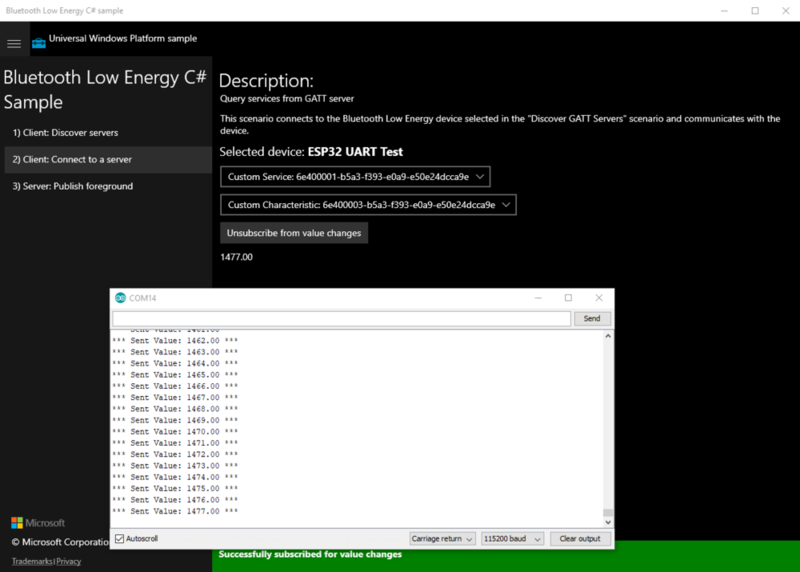 For a start, when you run the command prompt via your USB booted copy of Windows 8 the system drive you have to tamper with might not be drive C: (in my case it was drive e:). 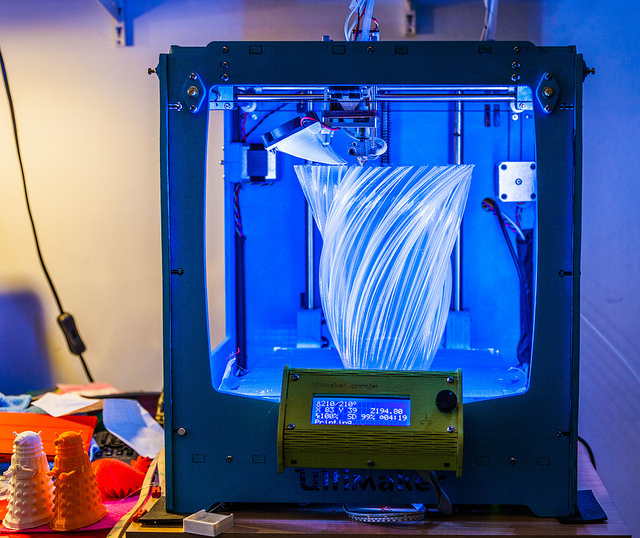 The machine is presently at 92% of the upgrade process. If you've got machines that you want to keep useful I'd advise having a quick check around the house to see if you can get them going and update them. I'm probably going to pass my machines on once upgraded, but they'll be a lot more useful if they are running Windows 10. I really like my Surface Pro 4 keyboard. Especially the fingerprint sensor bit, which makes unlocking my device very easy. Unfortunately the fingerprint sensor enabled version of the keyboard is not available in the UK. Fortunately I'm presently in the 'states and I've been able to get hold of one from the Microsoft Store here. If you're missing the USA language option just press the + and add English(United States). Then, whenever you call up the keyboard you can select the language to use by calling up the on-screen keyboard and pressing the key in the bottom right. Then, pick your language. The change takes effect immediately and it means that I can swap between my docked keyboard (UK) and my Pro 4 keyboard (US).